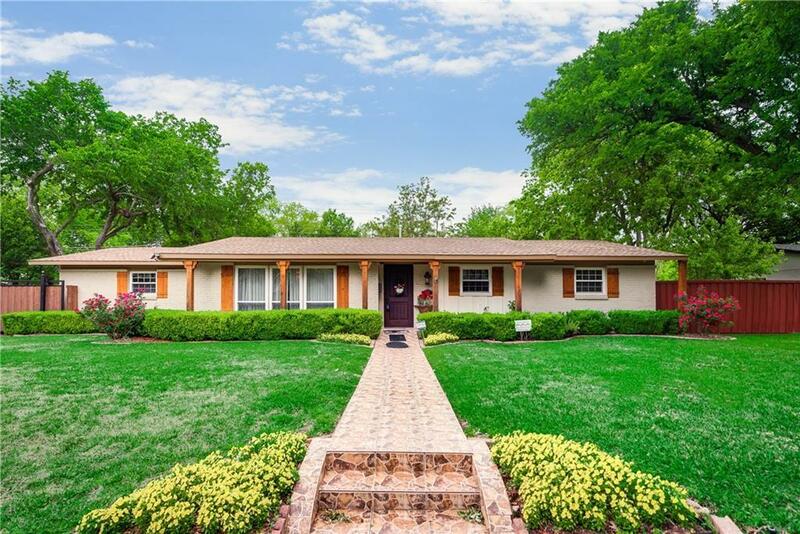 Must See Updated Ranch House in sought after Northwest Dallas. Open concept living, dining and kitchen area with all new granite countertops, kitchen cabinets with stainless steal appliances. New carpeting, freshly refinished wooden floors, newly 4 ton ac unit, blown insulation in attic, tankless water heater, newly 30 year roof, automatic gate, large backyard with several large trees with a nice open patio covered outdoor living. Large storage shed. Garage was converted to large working office space. There is no garage or covered parking; however, there is ample concrete space in rear of home for parking and the addition of a carport or you could easily convert office back into garage.